Let’s explore King’s Grove, an “exclusive enclave of distinctive new homes” in a neighborhood that features community trails, a beautiful community pool and a fun playground. 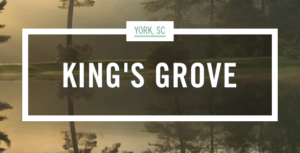 King’s Grove is great for families and conveniently located just minutes away from Lake Wylie and features easy access to everything the metropolis of Charlotte has to offer. There is also plenty of dining, shopping, entertainment and marinas close by. Homes here range from 2,100 to 3,900 square feet and have three to four bedrooms and feature two to two and a half bathrooms. 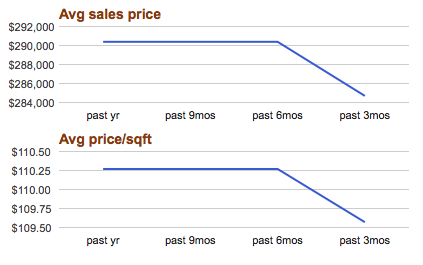 The big news for this neighborhood in terms of market stats is the inventory here— with eight homes on the market, King’s Grove has 8.7 months of inventory, which is above the “perfectly balanced” six month mark, and above York’s overall 5.8 months of inventory. 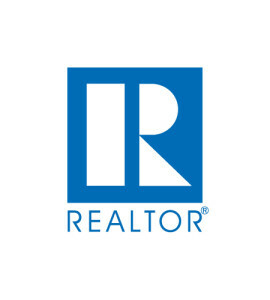 There is more inventory here than in many other neighborhoods in the Lake Wylie region, so if you are on the hunt for your perfect Carolina home, this neighborhood may be a great fit. 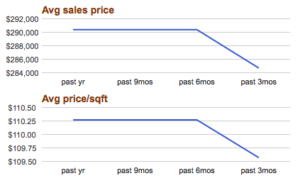 It is also notable just how stable the market is here, with no fluctuation in the average sales price of homes or in the average price per square foot until the last three months, where there has been a very slight, almost negligible dip in the numbers. This community of single-family homes features Mattamy Homes as its builder, where every property is well thought out, cared for, and completed to perfection. Residents of King’s Grove can take advantage of award-winning schools in the area, as well as extremely low property taxes, making homeownership more affordable. The market in York overall is steady, and this is a great neighborhood in town with all of the conveniences you could need and all of the amenities you could want. 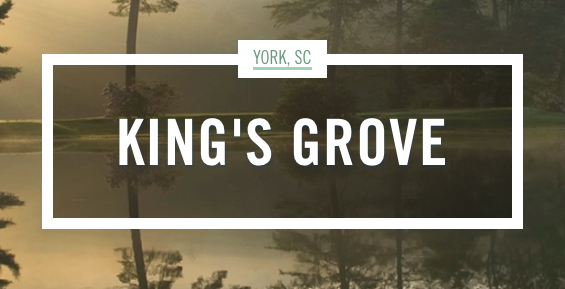 Check out King’s Grove today for just the home you’ve been looking for.